You'll be £12.99 closer to your next £10.00 credit when you purchase Tracing Your Family History on the Internet. What's this? 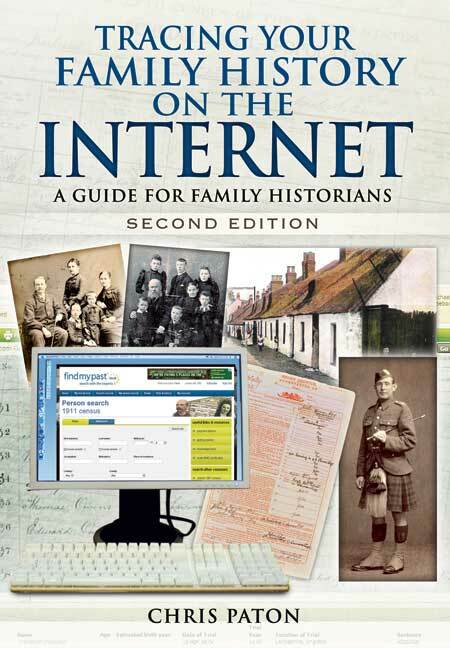 This fully revised second edition of Chris Paton's best-selling guide is essential reading if you want to make effective use of the internet in your family history research. Every day new records and resources are placed online and new methods of sharing research and communicating across cyberspace become available, and his handbook is the perfect introduction to them. He has checked and updated all the links and other sources, added new ones, written a new introduction and substantially expanded the social networking section. Never before has it been so easy to research family history using the internet, but he demonstrates that researchers need to take a cautious approach to the information they gain from it. They need to ask, where did the original material come from and has it been accurately reproduced, why was it put online, what has been left out and what is still to come? As he leads the researcher through the multitude of resources that are now accessible online, he helps to answer these questions. He shows what the internet can and cannot do, and he warns against the various traps researchers can fall into along the way. As seen in Your Family Tree Magazine. This book is a useful tool for family historians and gives a detailed walk-through of the many available websites to assist the family historian. Before presenting the hundreds of sources, many lesser known, the author discusses genealogy gateways and key genealogical resources such as the National Archives, libraries, and societies to which he adds some 13 commercial subscription or pay per view databases such as The Genealogist and Forces War Records. Wisely, Chris Paton cautions the reader to validate the information found and provides pointers to traps for the unwary. A useful book if you want to realise the full potential of the internet for family history research. Great for the beginner, detailing what can be found where, but with words of caution on limitations and pitfalls. The greatest strength of the book is that it doesn't become bogged down by trying to be too comprehensive.